I’m sure we say this every year but seriously how cold has it been lately Australia?! It has been an absolutely freezing winter and I don’t know about you but I am sure looking forward to this icy weather ending. However, on the upside, cold weather means fantastic soup weather. 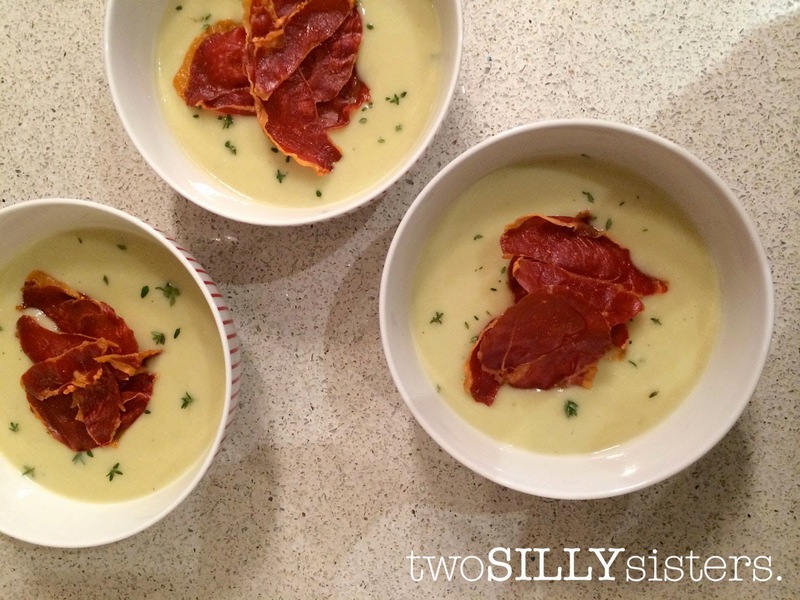 I love getting creative with my soups – they can be super healthy and so quick and easy to make. You can load so many healthy vegetables into them that your family won’t even know they are in there. 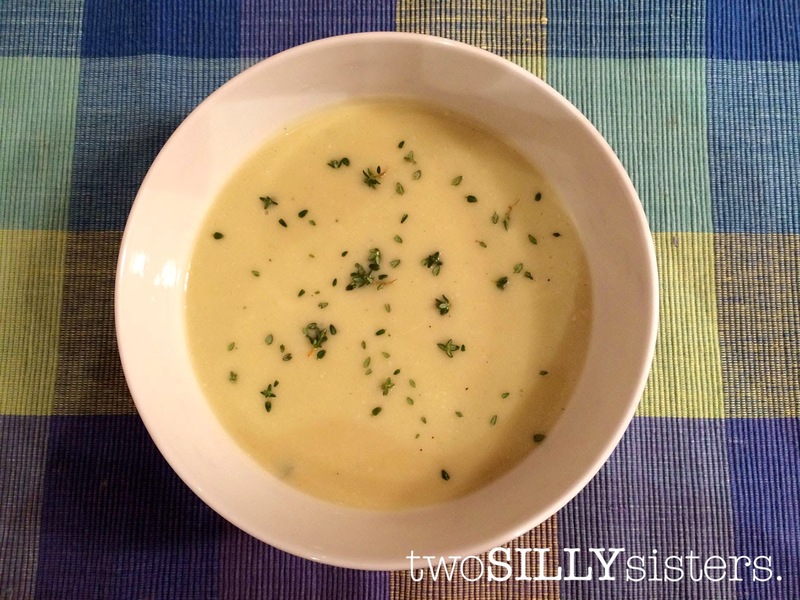 Mr L turned his nose up in disgust when I said I was making a Cauliflower soup… but guess who loved it and went back for seconds?! This soup is fantastic – not only is it gluten free and dairy free, but it is a healthy and quick weekday meal option. And you can always leave the prosciutto out if you want to make a vegetarian version. 1. Preheat oven to 180°C. 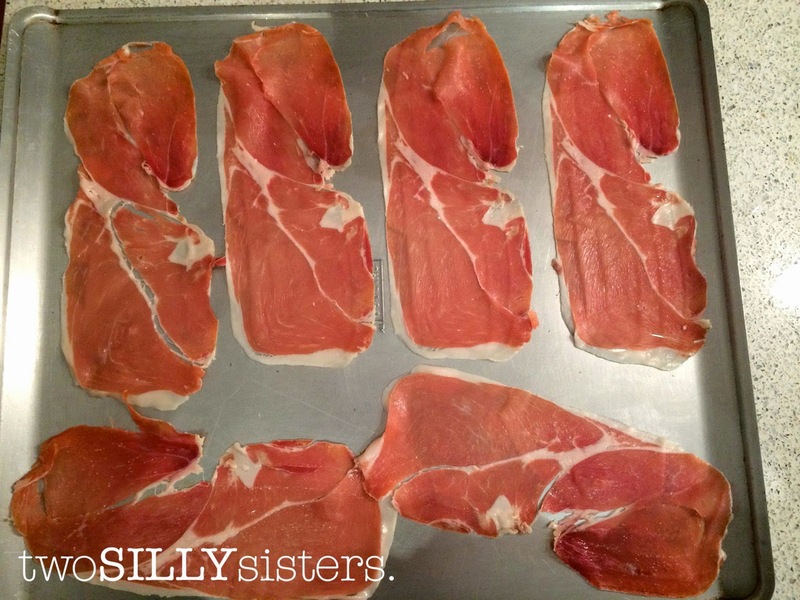 Place the prosciutto slices in a single layer on a baking sheet. I used 2 slices per serve of soup. You can use more or less. 2. Heat coconut oil in a large saucepan and add garlic and leek. 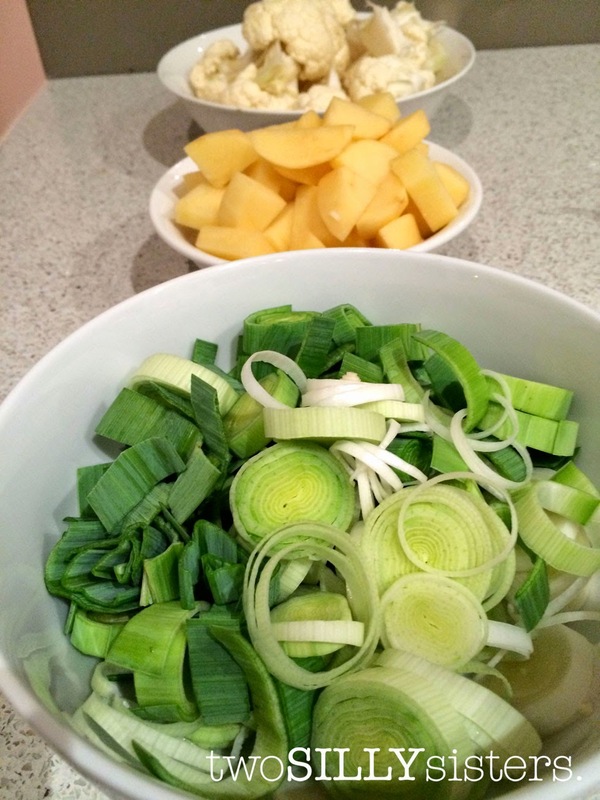 Cook for a few minutes until the leek is tender, constantly stirring. 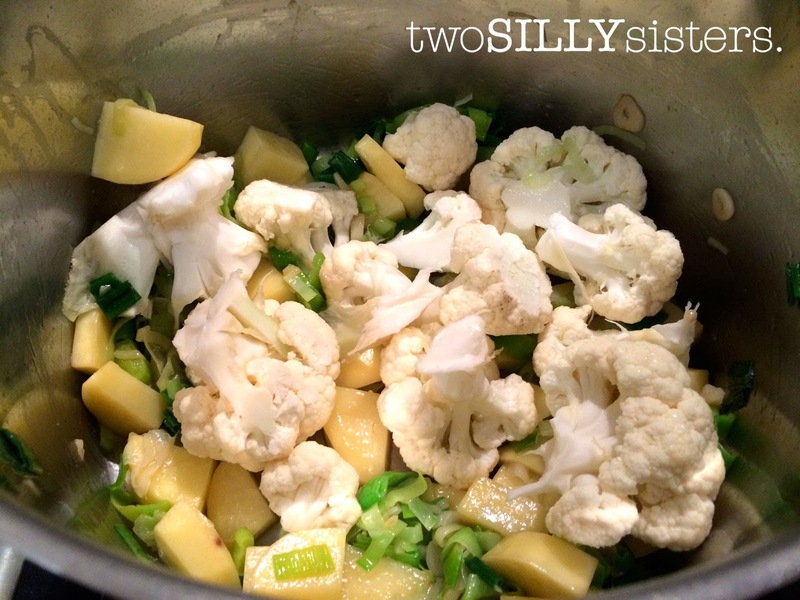 Add the potatoes and cauliflower and stir through. 3. Add the gluten free vegetable stock. Season with salt and pepper and bring to the boil. Reduce the heat and simmer for 20 minutes. At this stage the potato and cauliflower should be tender. 4. Remove from heat and allow to cool for 5 minutes. 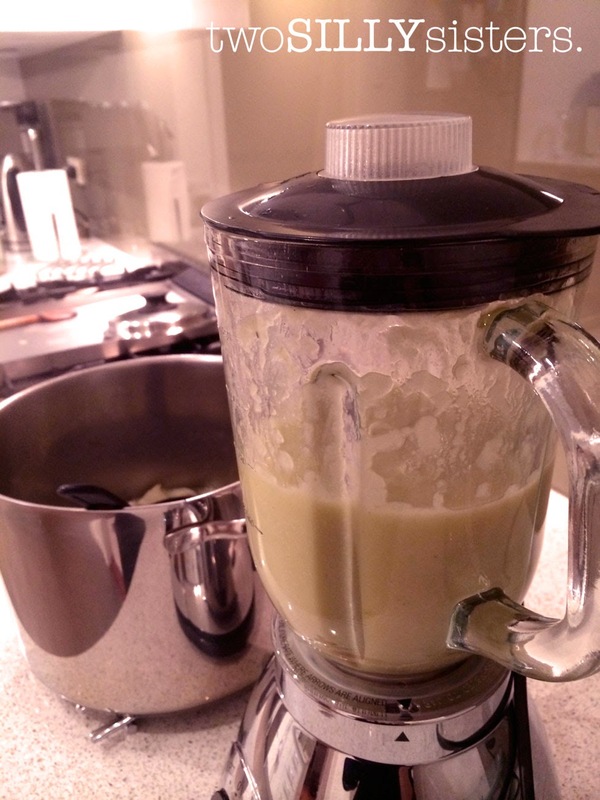 Pour soup into a blender in batches. Puree until smooth and return to a saucepan. 5. 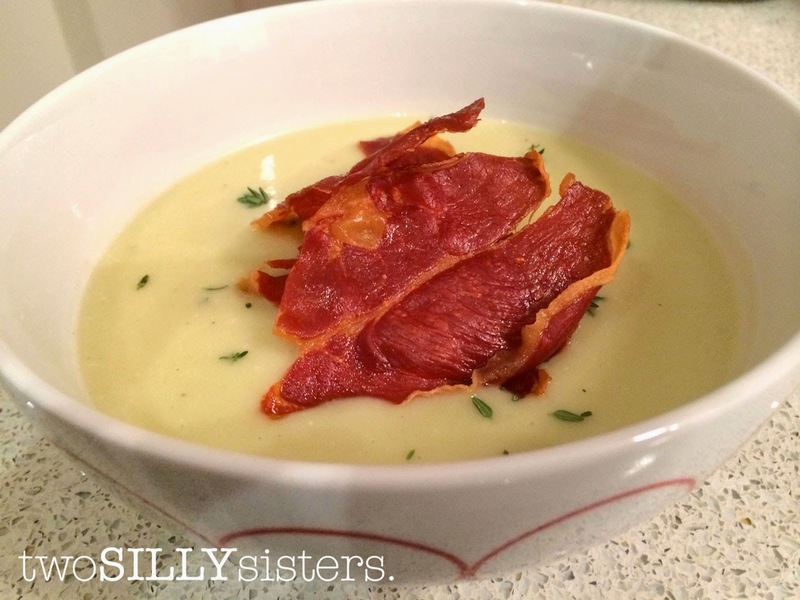 Stir in the coconut cream and bring soup back to boil. Remove from the heat and serve in individual bowls with crunchy prosciutto broken into large pieces and placed on top.